Christmas ordering deadline set! 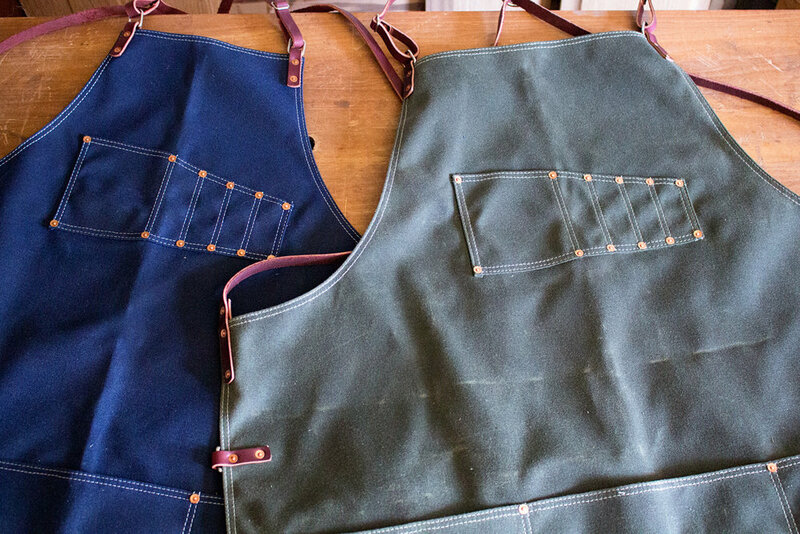 Plus, Drawknife covers and Wide Bib Classic Aprons are now available! Happy October everyone! Even though it is still hot outside down here in Texas, we have got to start thinking about the holidays coming up. If you are planning to purchase any of our items and have them delivered in time for Christmas, you must place your order by the end of the day on October 31st! Any orders placed after that time may not be finished in time for guaranteed Christmas delivery. Like always, we will do all we can to get out as many orders as possible, but due to our small batch production system, we have to set realistic timelines. The guaranteed Christmas delivery only applies to US orders! Also, we finally have our long awaited drawknife covers available on the website. These are made with 10oz. English Bridle leather and are secured with a solid brass snap. There is no safer way to store or transport your trusty drawknife, I guarantee it! Our covers come in eight different sizes from 6” all the way up to 13” and come in four different colors. These are wet formed one at a time and are Saddle Stitched by hand. You can learn more about choosing the correct size and place an order here. And finally, after receiving valuable feedback on our Classic Aprons over the years, we have decided to add a Wide Bib option to the mix, at no additional cost! Some people have broader shoulders, wider chests, or fuller figures than others. Our wide bib option increases the width at the top of the apron, resulting in greater coverage across the chest.